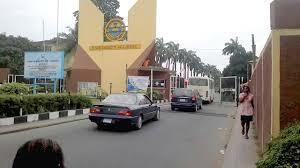 University of Lagos is one of the prestigious universities in Nigeria, because of these they look for means to admit the best out of the best.How? They do this by making the admission processes tedious for candidates. Based on my research, I discover that most candidates does not have full knowledge on the way candidates are been screened. To be specific, I will discus about UNILAG screening, how it was done last year and how it will be done this year. 1. The number one thing you should know is that UNILAG only conduct online screening which means your presence is not needed in the school premises till your resumption day if admitted. 2. UNILAG screening is based on 50:50 modality, which means 50% of your WAEC result and 50% of your JAMB result. *The step is not really neccessary because it will still give you the same result. That means Mr A have 40% out of 50% from his WAEC result. This means Mr A screening point is 75%. what next? Then you wait for the cut-off mark to be released which will be after the screening processes. If you like this post and found it helpfull , you can do me a favour of sharing this post to your friends on facebook using the "share" link below. You can also let me know that it is helpful by commenting below. Your comments motivate me. 5 Responses to "See how to calculate UNILAG screening point "